This limestone and brick industrial building once used as a cider vinegar factory was redeveloped by Krsnich Investment Group into a multi-use facility containing a high-end art gallery that doubles as event space and a second floor office “business port” with 16 modern offices for longer-term tenants and office space and support amenities available for use for an affordable monthly membership fee. The new facility, booked far into 2015 for a variety of events, was created through the rehabilitation of the 15,000-square-foot building, which dates back to 1883 and was originally used by the Kansas Fruit and Vinegar Company. 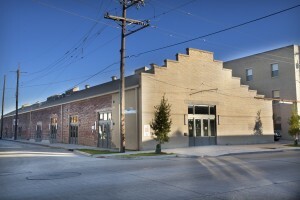 Cider Gallery is the second major renovation in the downtown Warehouse Arts District, which attracts locals and tourists alike for a monthly art walk tour, performances, and other events. The $2.4 million project, completed in June 2013, was funded by equity generated by federal and state historic tax credits, a permanent mortgage, and deferred developer fee/owner equity. 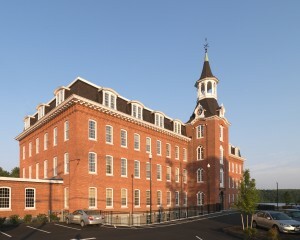 Boston-based Beacon Communities LLC created a unique mixed-income residential community containing 113 affordable and market-rate apartments, a management office, and a club room for residents through the rehabilitation and adaptive re-use of seven historic buildings dating between 1852 and 1928 that were once part of the Ames Shovel Works factory complex. An eighth building has been leased to the Easton Chamber of Commerce and the Easton Shovel Town Cultural District. The shovel company mass produced iron-blade and later steel shovels used in the California Gold Rush, building the Transcon-tinental Railroad and Panama Canal, and as standard field issue for U.S. Army soldiers in every conflict from the American Civil to Korean Wars. At its peak in the second half of the 19th century, the company employed more than 500 workers, produced 1.4 million shovels a year, and controlled 60% of the world shovel market. Completed in December 2013, the nearly $47 million, 160,000-square-foot project was funded by equity generated by federal and state historic and low-income housing tax credits and a preservation restriction on the buildings’ facades, multiple loans, and a deferred developer fee. Bank of America Merrill Lynch provided the tax credit equity and made a construction loan. 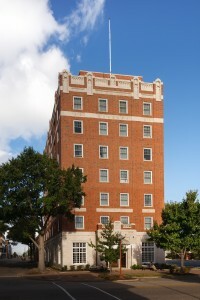 Community Housing Partners, a regional nonprofit based in Christiansburg, Va., acquired a vacant seven-story building in 1995, constructed as The Warwick Hotel in 1928, and turned it into 88 single-room occupancy units providing affordable permanent supportive housing for formerly homeless persons. In 2011, the nonprofit renovated the same brick structure to restore its striking original appearance, upgrade the housing units, replace the roof, enhance the offices and space for resident services, and make energy efficiency improvements. The project, designed to EarthCraft green building standards, was completed in May 2013. Architectural highlights include coffered ceilings, large square columns and beams featuring intricate plasterwork, and restoration of the original terrazzo floor in the lobby. Funding sources for the $9 million project included equity generated by federal and state historic rehabilitation tax credits and federal low-income housing tax credits, several loans, and a deferred developer fee. Virginia Community Development Corporation syndicated the tax credits. Federal new markets tax credits and federal and state historic tax credits generated much of the funding for this $19 million project by Renaissance Neighborhood Development Corporation (RNDC), a local nonprofit. Completed in July 2013, the project involved the renovation and adaptive re-use of three old buildings. 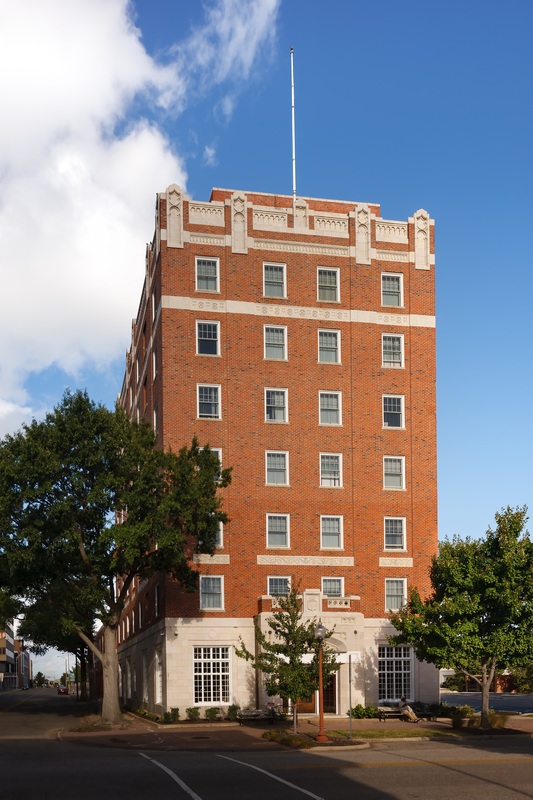 The Lykes Steamship Company office building, constructed in 1949, now contains 52 affordable and market-rate apartments. The renovated Centennial Cotton Press building, constructed between 1885 and 1895 and originally used for a cotton press, now houses the Fresh Food Factor. Operated by Volunteers of America Greater New Orleans, this facility has a commercial kitchen producing nutritious meals delivered to local customers, including schools, and provides culinary skills training to prepare participants for jobs in the food services industry. Community development entities affiliated with Volunteers of America National Services and Enterprise provided new markets tax credit allocations for the project. Funding sources included equity generated by federal and state historic tax credits and federal new markets credits, multiple loans and grants, developer equity, and a deferred developer fee. The federal tax credits were placed with U.S. Bancorp Community Development Corporation, while the state historic credits were syndicated by Tax Credit Capital, LLC. RNDC worked with the National Park Service to create a special Lykes Steamship Historic District making all three buildings eligible for historic tax credits, due to their significance in the historic Mississippi River shipping industry. 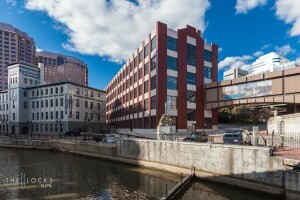 Occupying 186,500 square feet, this $33 million mixed-income facility created by WVS Companies and Fountainhead Development contains 174 apartments located on a downtown site along the Haxall and Kanawha Canals. Completed in January 2013, the project involved the historic rehabilitation and adaptive re-use of four industrial buildings once used by the Reynolds Packaging Company to manufacture Reynolds Wrap aluminum foil. Before that the buildings were owned by the RJR Reynolds tobacco company. The buildings were constructed between 1895 and 1920 and used for different manufacturing activities until 2011, when the facility was shut down. The new development is close to offices, shopping, and restaurants, and the apartments feature large historic windows, stained concrete floors, and high ceilings. Half of the apartments are market-rate units and the other half are restricted to households earning no more than 80% or 120% of the area median income. Funding sources included equity generated by federal and state historic tax credits and a permanent mortgage. The federal tax credits were placed with Chevron TCI, Inc. 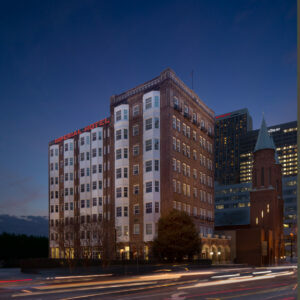 In a $19.6 million transaction, Columbia Residential and National Church Residences created a state-of-the-art permanent supportive housing development for low-income persons through the acquisition and renovation of an eight-story historic former hotel building that had already been converted to single-room occupancy housing. The Imperial Hotel was constructed in 1911 and operated as a hotel until around 1980, when a developer purchased and closed it. The building was then vacant for about 10 years, until a local nonprofit purchased it and redeveloped it into 120 SRO units for low-income persons. By 2007, however, the development was in financial trouble, and was on the verge of foreclosure when an appointed receiver selected Columbia Residential and National Church Residences to rehabilitate and recapitalize the property. They renovated and reconfigured the structure into 90 larger, affordable SRO apartments, along with upgraded common spaces and amenities and a wide array of supportive services. The project, completed in January 2014, was funded by equity generated by federal historic tax credits and federal and state housing tax credits, city and state loans of federal HOME dollars, a federal grant, and grants from two foundations. The federal tax credits were syndicated by National Affordable Housing Trust and the state tax credits by Sugar Creek Capital. A restored bell tower, brick exterior, and exposed columns, beams, and floor decking in apartments and common areas reflect the original industrial character of this former textile mill building, constructed around 1866. EA Fish Development and O’Connell Development Group, Inc. redeveloped it into 75 affordable apartments for persons 55 or older plus 20,000 square feet of retail space. Financing for the $18.6 million project, completed in March 2012, included equity generated by federal and state historic and low-income housing tax credits, tax-exempt bonds, multiple loans, and other sources. The former mill complex, constructed in the early 1830s, originally produced fine fabrics, sateens, and shirt fabrics before shifting to specialty textile production and later, other manufacturing. In the 1980s, the building became primarily an office storage facility and later was vacated entirely. 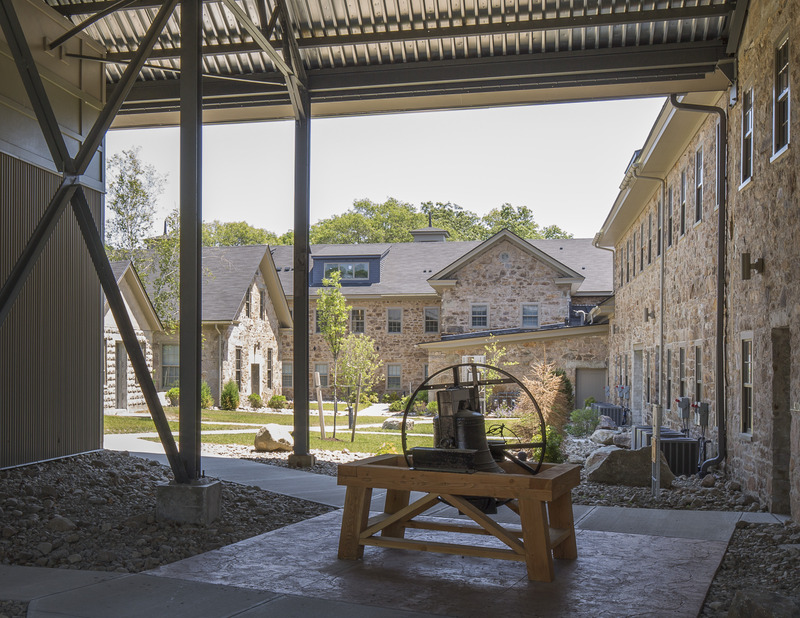 EA Fish Development had to secure six separate allocations of Massachusetts historic tax credits for the project over a nearly three-year period. The federal tax credits were syndicated by Raymond James Tax Credit Funds and the state tax credits placed with Apple, Inc. and Quincy Mutual Group. 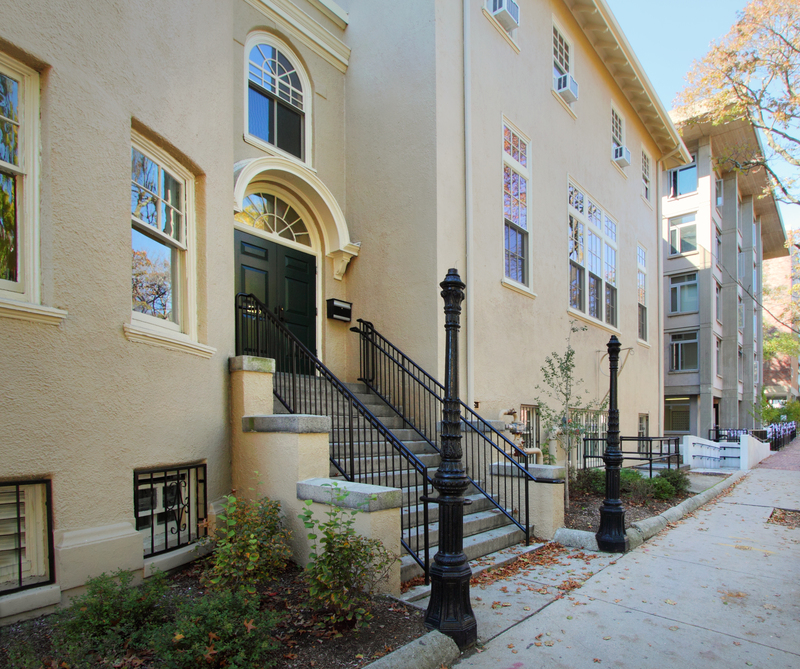 The YWCA in Cambridge renovated the residential and non-residential portions of its two existing buildings, dating back to 1910 and 1953, to preserve and upgrade 103 single-room occupancy housing units for low-income single women and commercial space. The $13.7 million project by the YWCA of Cambridge, completed in August 2013, involved renovating the housing units and common areas, upgrading accessibility, adding a second elevator, making energy efficiency improvements, and restoring the stucco and masonry exteriors and various historic features. Funding sources included equity generated by federal and state historic tax credits, multiple loans, city housing trust fund monies, weatherization funds, and developer equity. Rents on 88 of the housing units are subsidized by project-based rent subsidies. Since its inception in 1893, the YWCA Cambridge has advocated for women’s rights and provided affordable accommodations and support services for women. 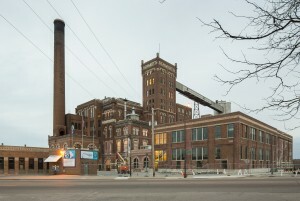 Dominium, a Minneapolis-based developer, assembled a multitude of funding sources for this $122 million project, which involved the historic rehabilitation and adaptive re-use of industrial buildings occupying 401,000 square feet that were once part of the Schmidt Brewery complex, into 260 live/work residences for artists – 247 loft-style apartments and 13 rental townhomes. The housing units and common areas were created through the redevelopment of the former Brew House, constructed in 1882 and expanded by 20 subsequent additions, and the Bottle House, erected in 1915 and made up of four buildings. To create a unifying vision from all of these structures, the architects grouped the buildings into multiple zones with vertical silos allowing for accessibility to each floor of the Bottle House. They created horizontal connections between buildings and blended historic and new features together. Amenities for residents include studios for all types of artistic activities, state-of-the-art kilns, galleries, and a fitness center. The project, completed in June 2014, was funded by equity generated by federal and state historic tax credits and federal housing tax credits, a seller note, tax-exempt bonds, a permanent first mortgage, federal CDBG dollars, and several grants. The federal tax credits were syndicated by Alliant Capital, Ltd. and placed with MetLife, while the state historic credits were placed with U.S. Bancorp Community Development Corporation.